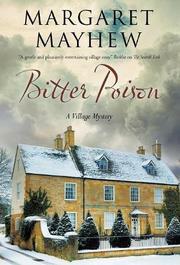 An amateur theatrical production has deadly consequences for the village of Frog End. Tired of silly pantomimes, Marjorie Cuthbertson, director of the Frog End Players, has her heart set on making the troupe's annual Christmas extravaganza an earnest adaptation of The Snow Queen. And she’s got her heart equally set on her leading lady: former model Joan Dryden, who’s moved into the village with her husband, movie director Kenneth, and their bratty teenager. Since Hassels is only the Drydens’ country home, Marjorie finds that the real challenge isn’t getting snooty Joan’s agreement to take the starring role but cajoling her to actually attend rehearsals. Marjorie’s own husband, Maj. Roger Cuthbertson, is a useless sot who spends all his waking hours waiting for it to be late enough to have a drink. The director’s closest ally turns out to be the Colonel, the owner of Pond Cottage, whom she dragoons into building a sled that can bear the arriving queen in royal splendor. Joan, halfway smitten with the old gentleman, agrees for his sake to be more compliant. Even the Colonel’s neighbor and best friend, Naomi Grimshaw, helps out, supplying a wooden pallet that, appropriately sawed and painted, becomes a vehicle worthy of an ex-model. But as Marjorie enjoys her artistic triumph, disaster strikes at the reception in stately Frog End Manor, where an assortment of mince pies turns tragic for the villagers. Mayhew’s good-natured tale of rural village friendships will delight fans of the English countryside while proving a trial to anyone in want of a good puzzle.